Are you looking for a new board book to spruce up your collection or to give as a gift? Board books are wonderful for young children because they do not tear or rip the way books with paper pages do, while introducing children to literacy and important concepts such as the ABCs or transportation. Please leave a comment to share other board books that you and your loved ones have enjoyed! My First Busy Book by Eric Carle. The bright, beautiful illustrations we all know and love from the author of The Very Hungry Caterpillar accompany touch-and-feel learning in this large size board book. My preschooler still likes this one! Haiku Baby by Betsy Snyder. A charming book to expose children to poetry and literature at a level they can understand! Sweet pictures highlight the lessons on seasons and weather, too. Montessori: Map Work by Bobby and June George. I absolutely love this book! It provides a great introduction to geography skills in an engaging way. The Georges are Montessori educators who founded an accredited school in South Dakota. 4. Busy Little Mouse by Eugenie Fernandes. Very bright and lovely 3D illustrations of clay scenes. This book also teaches animal sounds in a fun way. I found it touching that the book is written and illustrated by a mother-daughter duo. 5. Love my Shoes! by Eileen Spinelli. Multimedia illustrations show the many ways we use shoes. This would be a great book for any kids or parents who really love shoes! 6. Sally at the Farm by Stephen Hughes. My daughters both love dogs, so Sally was a big hit with them. I liked the distinct illustrations that made an otherwise simple story stand out. 7. Cradle Me by Debby Slier. A board book featuring baby faces and expressions is nothing new, but this one stands out because of the photographs on each page of Native American babies from numerous tribes. There is also cultural information in the back regarding cradle boarding. 8. Quiero a mi mamá porque… by Laurel Porter-Gaylord. (I Love My Mommy Because…) This is one of my favorite board books. It is bilingual, with text in English and Spanish, and accompanied by lovely illustrations of mother and baby animals. 9. Shades of Black: A Celebration of Our Children by Sandra L. Pinkney. A husband and wife team up to create a book with poetic text and beautiful photographs. This is an excellent read-aloud for young children. 10. Really Wooly Little Bedtime Prayers by Bonnie Rickner Jensen. My husband and I appreciate the Really Wooly series because it goes beyond the well-known Bible stories commonly seen in children’s Bibles. It contains verses along with poems and prayers to explain and explore each verse… With adorable illustrations! 11. I’m Thankful Each Day! by P.K. Hallinan. This book has profound and heartfelt text. In my opinion, the illustrations are a bit wanting, but the message of the book is what made it land on this list (and what keeps it on our bookshelf at home). 12. God Made You Nose to Toes by Leslie Parrott. Although I don’t love the style of illustration in this book, I included it on this list because it engages young children with its rhymes and brightly colored pictures. My children enjoy reading this one often. Watching my children grow and develop makes me appreciate the abilities they demonstrate, even now at an early age. For instance, my oldest daughter often acts as a mediator with her peers and my youngest daughter has a stealth agility (great at the park, not so great on the furniture at home). I see things in both my kids that remind me of myself, or my husband, or a family member… And then there are times when I see something in them that makes me scratch my head! The sweet girls I have the pleasure of encouraging each day. One of the beautiful things about our world is how unique each individual is. It may be cliché, but it’s true: our world would be boring if everyone were the same. And I am grateful to live in a time and society in which most people desire to help children discover and grow in their abilities and talents. As I raise my children, and in the past when I taught in the classroom, I try to encourage the distinct abilities these incredible young ones have. Know who your child is. This seems like a no-brainer, but it’s an important starting place. We are often distracted by the daily activities of parenting that encompass the wide range of feeding, diapering/clothing, instructing, disciplining, chauffeuring and so on. These are all necessary and valuable tasks, but completing these tasks alone cannot and should not be the sole purpose of parenting! (For teachers, the distracting activities may include lesson-planning, meeting program or administrative goals, assessing and evaluating, balancing whole group and small group or individualized instruction.) Make it a point to go deeper to knowing who your child is: those things that excite, motivate, frighten, bore and challenge your child. Listen to your child. Again, this may seem obvious. But recently in a public setting, I heard a child trying to get her father’s attention several times. Even when she tugged on his sleeve, he didn’t seem to hear her. My first reaction to this scene was not to judge that father as a terrible parent. Instead, I felt a pang in my heart as I wondered how often one of my daughters tries to get my attention and I don’t notice. We need to be ready to listen to our children and engage with them. Note: this does not mean that the world revolves around our children.. But can we at least acknowledge their desire to be heard and assure them that we will listen when it is a good time for sharing and listening? Use affirming words and language. Among educators, there are debates over how often to praise students and what entails meaningful feedback. (Research shows that “Good job” is less effective in motivating learners than something specific like “Wow, I today that noticed that you made your goal of ____. You can be proud of that!”) You don’t need to hand out a gold star for every little thing, but take some time to consider where you can be more encouraging in how you speak to your child. Allow your child to participate in activities/experiences that will challenge and excite them. My oldest daughter has wanted to take swim lessons for a while and now that she has shown enough maturity to respond well to a swim instructor and follow directions in a safe manner around the water, we’ve enrolled her in one. She loves it and is growing in confidence and ability each week! If your child is interested in a sport, musical instrument, language, art – whatever it may be – look for programs or outlets for them to express that interest. For families on a tight budget like ours, see if there are local park district offerings at an affordable price, ask someone you know to teach your child a skill, call around to find the best prices or offers available (our swim lessons were $20 cheaper when we signed up for a morning session). Groupon can also have some good deals in your area! Or if none of those seem to be an option, just take a simple first step – like buying some paint and a watercoloring book for your child who wants to explore art. And to wrap up the theme of encouraging your child’s abilities, check out the book Harold Finds a Voice by Courtney Davis. This story is an excellent read-aloud and has bright, bold illustrations that engage young children. My daughters really enjoyed watching parrot Harold try to imitate everything from a vacuum to steamboat… Until he finds his own unique voice! It has been a very interesting year in politics, to say the least. Despite differing views on our current president or the candidates for our upcoming election in November, I think most Americans agree that we have such strong opinions about who we would like – or wouldn’t like – to see in the White House because we hold the presidential office in such high regard. Since George Washington first took office more than two centuries ago, the president gives an unimaginable amount of his energy, time and resources to serve our country. We all recognize and value the efforts of our most famed and beloved presidents, and the disappointment and disillusionment of some less-than-shining moments of other presidents (“I am not a crook” comes to mind). As a Christian, I personally do not put all my hope in a single politician, political party or even the idea of a democratic government. Still, when I taught professionally, and even now as I raise my own children at home, I desire to model how to how to thoughtfully and respectfully express one’s own political views. But we don’t need to get into philosophical discussions in order to teach our young children about presidential duties or even to show how to participate in our democracy. In fact, in our home, we have recently had some discussions about who the president is and what the presidential duties entail as we’ve read the sweet and funny book My Teacher for President by Kay Winters. Many of the roles attributed to a teacher and the president of the United States will apply to home educators, too. Refer to the illustrations of the teacher completing presidential duties. Explain to your child what the president of the United States does as part of his service to our country. Ask: Which responsibilities do you think are most interesting? Which would be most challenging? Think of a person in your lives that embodies the qualities that are displayed in the book. Write him/her a letter and share your appreciation for all the positive and wonderful things he/she does! Prior to reading, ask your students what the president’s job is. Ask them what qualities would make a good president. Show them a picture of our current president, Barrack Obama. Hold a mock election in your classroom (no worries about the electoral college here; it can be a true democracy!). Choose 2-3 candidates, using characters from favorite books or staff at your school. This mock election can be short with a simple explanation and vote, or drawn out with preparing posters and discussing information on the positive attributes of each candidate. Write a class letter to the president of the United States. Have each student sign it and include a class photo or student artwork. Our family loves to spend time together. We make memories in simple everyday moments, such as molding Play-Doh at the table, baking brownies for a friend who is coming for supper and going for a walk to the park. We also make memories in more extravagant planned outings to the zoo, trips to see extended family members or dear friends and more. In everything we do, my husband and I seek to enjoy the time we have with our children and each other. Our youngest daughter at the beach (last summer). Isn’t it delightful that “joy” is a part of the word “enjoy”? We experience joy when we enjoy our time together, just having fun and treasuring one another. We don’t simply do these things to pass the time but to really grow closer to one another and share in life together. No matter who is a part of your family, I encourage you today to look for a moment in which you can experience joy with your loved ones. In the book Beach House by Deanna Caswell, the author demonstrates the joy we gain as a family when we participate in activities and create memories as a family. The family in this book is excited to go to their beach house and play on the beach all day. My husband and I don’t ever expect to own a second home, but we do have events and traditions that our family looks forward to, including an annual Family Camp that my dad’s side has had for over 30 years. In the hammock with Daddy at Family Camp. Whatever your family enjoys doing to build memories while having fun, Beach House will bring back the warmth and nostalgia of your favorite family times (from growing up as a child or raising your own children). And hopefully,we will all come away from a book like this one will remind us to appreciate the beautiful moments in which we experience joy together in this life. Depending on the area where you live, plan a family trip to the beach! Discuss what your family does at the beach compared to the family in the book. Create a mini photo album of your favorite family outings. Print out photos or create something digitally. Talk with your child about each photo and the memory it represents. Set up a beach station or sensory play area. If you have a sand table, pull it out! Otherwise include items such as pails, shovels, sea creature toys, towels, sunglasses, sunscreen, hats, picnic basket or cooler. Allow students to interact with the items and talk about them in small groups. As a class, brainstorm the various activities we do with our family and friends to have fun. Afterward, allow students to draw a picture of a time they went to the beach or did something else fun with their family or friends. My youngest daughter, who turns two at the end of the month, is very interested in counting books right now. I was glad to find the book Over in the Meadow, illustrated by Anna Vojtech, for her to continue practice numbers and to appreciate the beautiful animal illustrations. Both the lyrical text and the repetition of pattern for counting make Over in the Meadow a solid read for young children. Since we liked the 5 bees buzzing in the hive, we spent the morning making beehives and practiced counting with our colorful bees. I cut out a simple beehive with yellow construction paper and used a pipe cleaner to hang it. I printed out a free bee printable to go along with the hive. A work in progress: my youngest daughter colors her 5 bees and the hive, too! Many of you may be familiar with the song “Over in the Meadow”. As I wrote in an earlier post, we love to sing animal songs around here, and this is one of the songs my daughters especially like to listen to. There are multiple versions of the song which take artistic license with the poem’s earliest format, changing the order of animals and sometimes the noises they make. The book Over in the Meadow, however, contains the original nursery poem whose authorship is generally attributed to Olive A. Wadsworth. My oldest daughter colors her 5 bees before cutting them out. For another fabulous counting book with suggested activities, check out this post! Think creatively together: If we were in this book, what noise or word would we say? In Over in the Meadow, there are 5 bees in the hive. Make a yellow beehive with construction paper and then print, cut out and color 5 bees. Practice counting to 5 together as the bees fly in and out of the hive. Play the song “Over in the Meadow” for your students without video while you open the book and follow along with the illustrations. Note: This song only goes through the number 5. In Over in the Meadow, there are 5 bees in the hive. Make a large yellow bee hive for the center of a bulletin board. 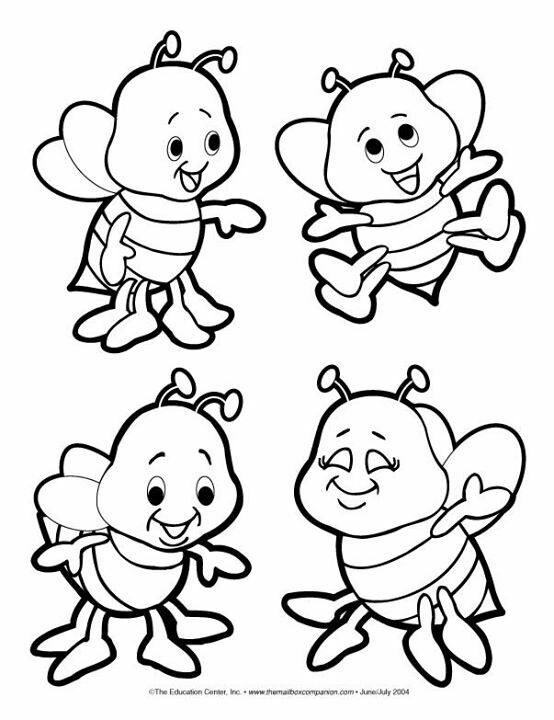 Then give each student a coloring page for a bee and instruct them to write their names on the bee. Complete your bee hive bulletin board with each student’s bee! In a rather spontaneous decision, my husband and I looked online at 6:15 AM and decided to visit a new apple orchard about one hour’s drive from the city. Although some orchards in our region are not yet ready for picking, there are a handful that opened over the weekend. So we showered, ate, dressed and piled in the car! Our family had a blast riding the tractor-pulled train through the orchards and the “Enchanted Forest,” picking a yummy variety of apples called Zestar (very crisp with lots of sweet and a bit tart), climbing hay bales, playing in a giant Corn Bin and more. Our youngest daughter kept saying, “Apples here!” because we’ve been reading the lovely book Apples Here! by Will Hubbell over the last couple of weeks. Exploring that book together was such a fantastic way to prepare for our fun family outing and discuss what we learned about the life cycle of apples as we picked our own. Our youngest daughter at the orchard. Apples Here! is a terrific book to explain in simple terms what the apple tree does in each season as it prepares to bear fruit. Whether or not you end up going on your own apple-picking adventure, it is a great read for autumn. Visit a local apple orchard and pick your own apples or take a stroll among the trees. Discuss the life cycle of the fruit as described in the book. Choose a favorite apple recipe and mix up something yummy in your kitchen with your child/ren! Take a look at Food Network’s list of 50 apple recipes for new ideas. Create a page divided into four quadrants. Label each one with a season. Then allow students to daw a picture of what an apple tree looks like in that season. Or use this free resource from Teachers Pay Teachers. Plan a class or school trip to a local apple orchard! Set up a learning center that includes items related to apples. These could include plastic apples, tin pie plates, aprons, hot pads, white plastic flower blossoms, empty apple juice or cider jugs, apple coloring pages and additional books on apples from your class or school library. With a background in Spanish Education, I always find it fascinating to hear stories of real families who are raising multilingual children. And I’m impressed by the tenacity of many people who continue to pass along their heritage and culture through their mother tongue. Let’s be real: capturing a decent family photo is hard enough… Raising multilingual kids takes effort! So if we aren’t raising bilingual or trilingual kids based on our own language abilities, what can we do to expose them to other languages? There are obvious answers such as enroll them in language classes, purchase software or utilize online programs… even access free apps like DuoLingo and FluentU. These are all wonderful resources and ideas, but there is another essential way we can help our children become multilingual: exposing them to other cultures and languages through good, solid children’s literature. Jambo Means Hello: Swahili Alphabet Book by Muriel and Tom Feelings is an outstanding example of good children’s literature that will teach our children something basic while setting a foundation for a multilingual future. Although I doubt many of our kids will grow up to study and speak Swahili fluently, they will undoubtedly be more eager and open to learning a new language when they are exposed to many languages and cultures in a respectful manner. And don’t let your inability to speak Swahili (or any other language) hold you back from reading it to your children or students: this book contains straight-forward phonetic clues for pronunciation, as do many other books like it. So are you ready to set a multilingual foundation through children’s literature? Check out my other posts for another Caldecott Honor book and great ABC book. To read more about the reasons that learning another languages is useful, click on this link from the American Council on the Teaching of Foreign Languages (ACTFL). C is for Chakula (food)- Use magazine pictures or grocery store ads to create a collage of the foods that your family likes to eat. (Bonus points if you include embe or mango, which also appears in the book!) Write the word “chakula” in Swahili somewhere on the paper and practice saying it. And for more gluing and grocery ad fun, check out a wonderful blog post by Angela at MOMtessori Life… With a great explanation of how kids learn through the use of glue sticks! H is for Heshima (respect) – Use cut-outs of colorful paper handprints to have students write one way that they show respect to others in our school/community. Create a respect bulletin board and include the Swahili word “Heshima” for other students to see. J is for Jambo (hello) and K is for Karibu (welcome)- As a class, brainstorm other phrases we use in English to greet one another, then think of words we use to say goodbye. (Include non-verbals such as waving.) Ask for student volunteers to demonstrate kind and polite ways to greet one another and say goodbye. R is for Rafiki (friend) and W is for Watoto (children) – Get together with another class at your grade level to play group games together at recess or a free period in the day.